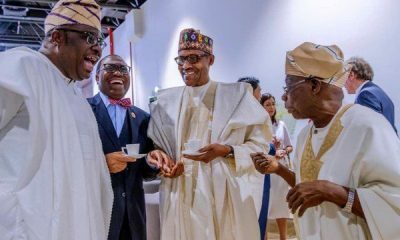 Former governor of Ogun State and a chieftain of the All Progressives Congress (APC), Chief Segun Osoba has called on President Muhammadu Buhari to sign the amended Electoral Act which enables transmission of election results electronically from the various polling units, into law. Osoba who spoke at Ray Ekpu’s 70th birthday colloquium in Lagos, held at Muson Centre, Onikan, Lagos, noted that the Act would bring sanity to the conduct of elections as it would checkmate falsification of results and ultimately allow the will of the people to prevail. Ekpu was the former Editor-in-Chief of the Newswatch Magazine. 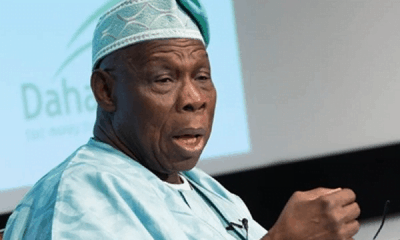 Speaking on the theme of the event, “Nigeria: The Leadership Question”, Chief Segun Osoba blamed former President, Olusegun Obasanjo for contributing immensely to Nigeria’s current leadership crisis. 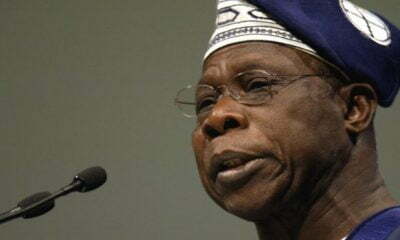 In his words, “Leadership, I’m sorry to say this; people will say l keep talking about Obasanjo. 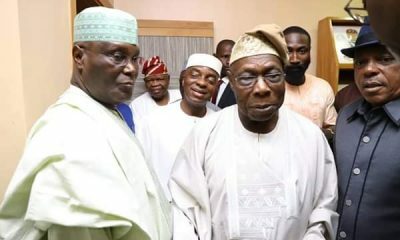 The day Obasanjo rigged the AD out of government was the beginning of the downward trend of the leadership in this country. “The governors at the time were able to checkmate him. 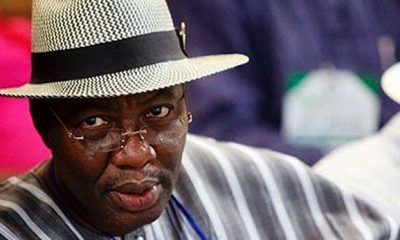 (Victor) Attah was also on our side at the Council of States’ meeting even thouh he was of the PDP. 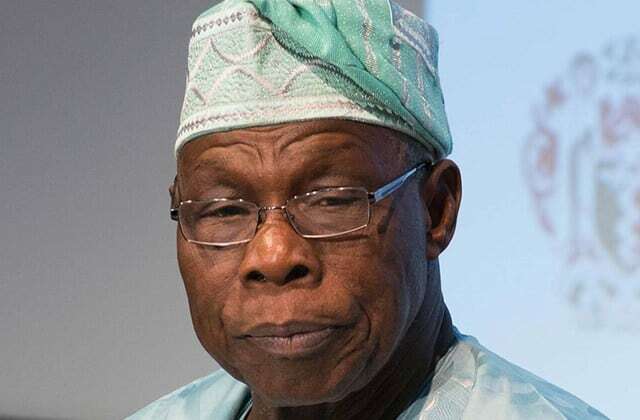 But for us Obasanjo would have caused more havoc before 2003. “In the amendment of the Electoral Act, it talks about using the electronic system. And any electoral officer that fails to promptly transmit the result to INEC’s central system or headquarters can be jailed for five years. It is a very beautiful idea that give me hope in this country. “I want the president to sign the Act so that the issues of 1.9 million votes can stop. Some other speakers at the event also suggested that the country was doomed unless Nigerians seriously reconsider the nation’s leadership recruitment process. They urged the electorate to be mindful of who they cast their vote for ahead of next year’s elections, saying the country has remained underdeveloped simply because of the failure of leadership. 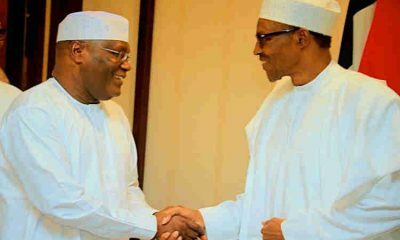 They believed that the faulty recruitment process within the political class, especially was largely responsible for Nigeria’s woes over the years. Drawing from examples of countries that have worked owing largely to the right leadership, the guest speaker, Dr. Chidi Amuta, said the prevalent political culture in Nigeria can never produce a good leadership that would fulfil the hopes and aspirations of Nigerians. According to Dr. Amuta’s paper which was delivered by one of the founders of Newswatch Magazine, Mr. Dan Agbese, the way forward may be the idea of aspiring leaders swearing to an affidavit to claim existence of a certificate they may not have acquired be abolished from the country’s law books. Dr. Amuta who noted that that leadership could kill or save a nation, stressed that only leaders that have personal integrity, decency and moral stature can respect and preserve the nation’s institutions for the common good. 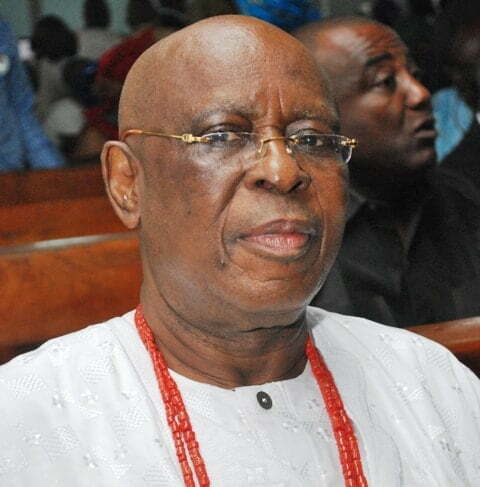 Ekpu, on his part, urged Nigerians to stop blaming the nation’s woes on the colonialists, saying they handed over the leadership of the country to Nigerians 57 years ago.